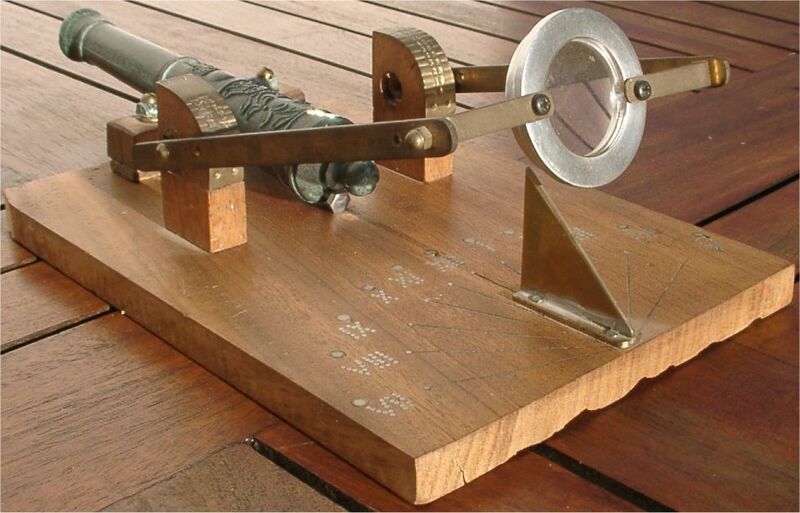 This dial is a simple horizontal dial coupled to a system of magnifying glass and cannon. 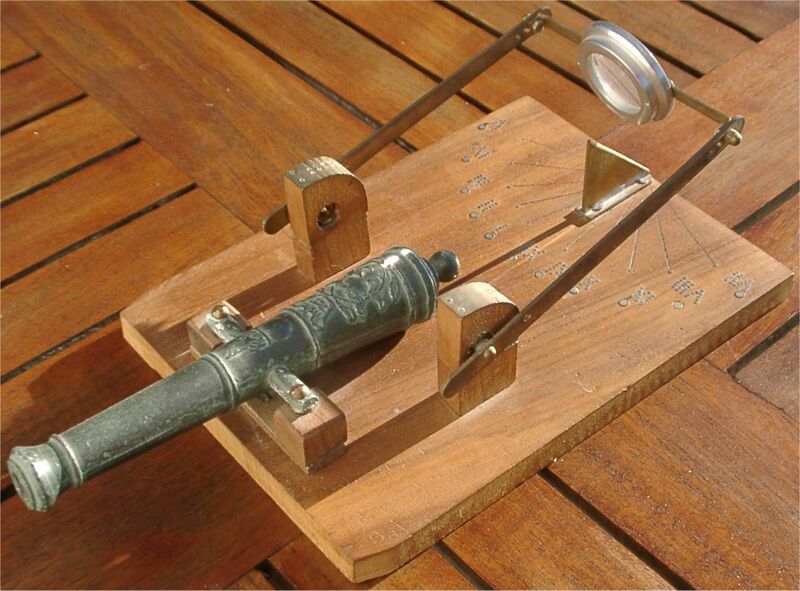 At the time of solar midday, the magnifying glass focuses the sun on the light of the cannon and causes the firing. Such a dial was a long time in service with the royal palate in Paris. 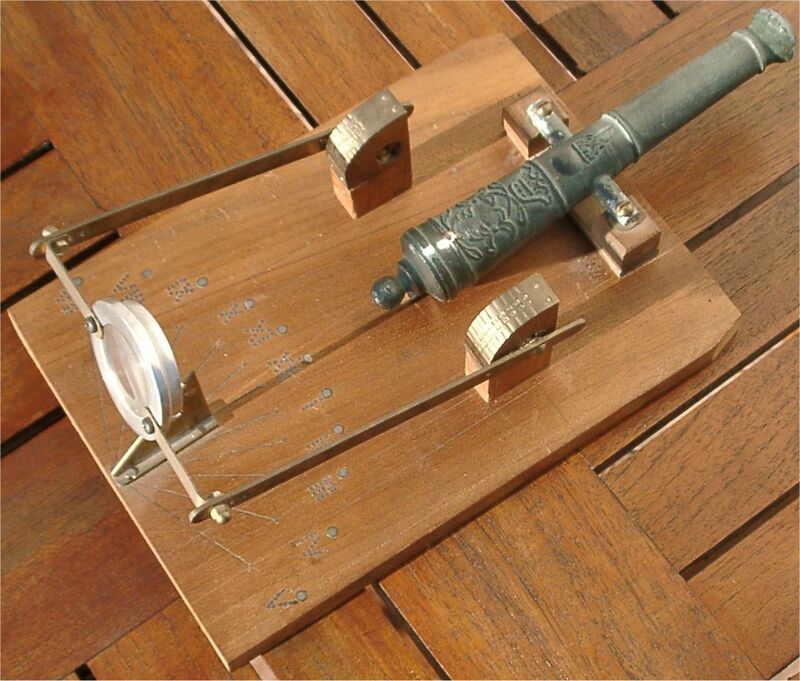 The magnifying glass must be regulated with the good slope according to the season for a good firing.